The concept of solidarity is omnipresent, at least in Germany’s public discourse. It has become a slogan that decorates the election campaigns of almost every political party. Unions appeal to the solidarity of the working class. Church representatives call upon us for ‘solidarity with the poor’. 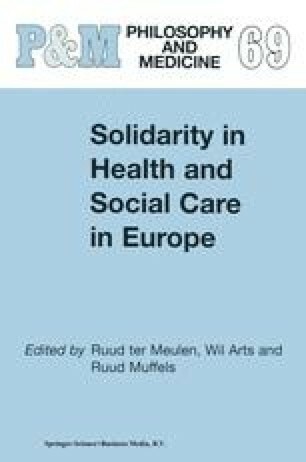 References to the value of ‘solidarity’ dominate discussions about the future of the welfare state as well as reflections on the more general question of the social coherence of modern societies. Nevertheless: the more popular the concept, the more ambiguous its meaning. What remains is a wishy-washy concept of solidarity that tries to evoke a vague sense of belonging, a readiness to help, or the value of social responsibility. This is the case not only with the trivialised or everyday use of the concept and its role in political discourse; it also holds for philosophical and sociological debates. Even here we find inconsistencies and a broad variety of implicit meanings attributed to the notion of solidarity.